The arhetypal Westerner is aghast at seeing utter chaos on India’s roads. I know because I have seen far too many of them curl up in fetal position at the sight of a three-wheeled auto-rickshaw on the “wrong” side of the road. Westerners cringe at the open flouting of norms and wonder if all Indians are psychopaths. The archetypal Easterner is impressed by utter discipline on Western roads, even in the cities. Rules are followed and honking, trademark of Eastern cities, is rarely heard. In Boulder, Colorado, it is a sight to behold when cars stop for pedestrians to cross the street. This all seems dream-like to Easterners accustomed to chaos ruling the streets. Yet, Westerners are beginning to ask, “What can we learn from the auto-rickshaw driver making an empowered decision to use a side of the street that’s lying vacant because of variable traffic conditions?” Some amount of chaos is necessary to challenge the status quo. It brings about progress. 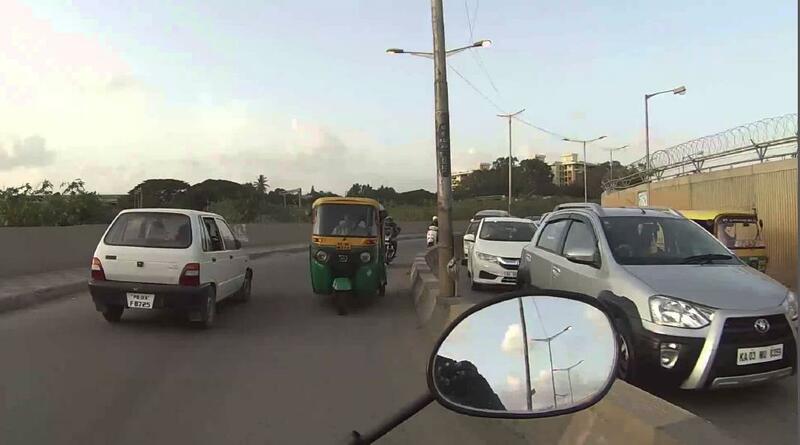 The road conditions in Bangalore, India are best described as a ..
And Easterners, ever-ready to learn, are adopting Western-style methods to regulate traffic. Too much chaos hinders progress. If one has to spend a good chunk of brain-power navigating roads, then there’s less left to innovate and make progress. It is distracting when routine tasks best left to “auto-pilot” consume precious brain-power. Animal spirits. How do you make room for them in your organization? ← Coach for behaviors, not attitudes.